New York City is a mecca for museum enthusiasts. From art to history to transportation, New York City museums will keep you busy for days. In this list of the best museums in NYC, we detail 20 must-see museums that are going to allow you to learn and have a lot of fun while you do! So, next time you are in NYC, lace up your walking shoes and hit as many museums as you can! If you need help planning a trip to NYC make sure that you head over to our list of the best travel sites. 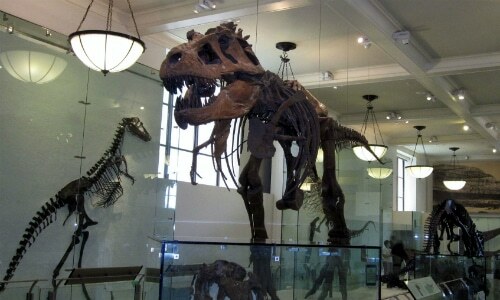 The American Museum of Natural History showcases an impressive array of exhibits. A couple of the more popular ones are the dinosaur exhibit and the 429 seat planetarium. The sheer quantity of exhibits on display is what really highlights the Museum of Natural History though. You will be able to spend a countless number of hours exploring new and interesting pieces in the museum. 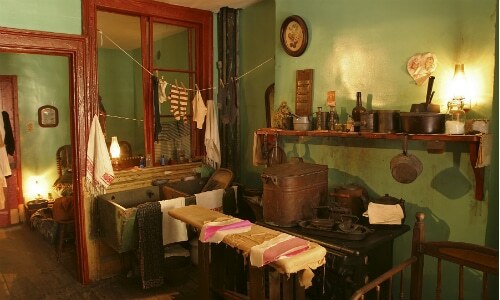 The Tenement Museum is housed in a five-story walkup from the 1860s. It highlights the stories of the 7000 immigrants who once called the walkup home. Inside the expertly restored rooms, costumed interpreters act as residents, lending an authentic touch. Walking tours around the area also allow visitors to see the influence of immigrants on the Lower East Side. The Whitney Museum of American Art is the legacy of Gertrude Vanderbilt Whitney. The museum began in 1931 with more than 600 works from Gertrude’s personal collection. Today, the museum houses over 20,000 works from the 20th and 21st centuries by more than 3,000 artists from across the United States. If American art is what you are after, the Whitney is the place to be. Pierpont Morgan was the original owner of this private library that was finished in 1906. 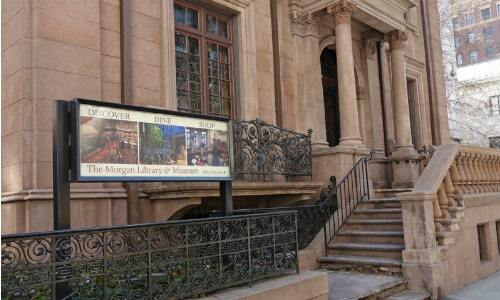 The Morgan Library though became publicly owned in 1924 when his son donated it. With purchases and generous gifts over the years, the library has increased in size. Today it includes many new books, manuscripts, pieces of Americana, and materials from the twentieth century. Included in the current library is a restaurant, shop, and plenty of space for reading. 9/11 is a day in American history that will forever live in infamy. The 9/11 Memorial remembers the men and women who lost their lives on September 11th, 2001 when the World Trade Center and the Pentagon were attacked. It also pays tribute to the brave travelers who went down in the plane in Shanksville, PA as well. The memorial features two acre-sized pools of water and the largest man-made waterfalls in North America. 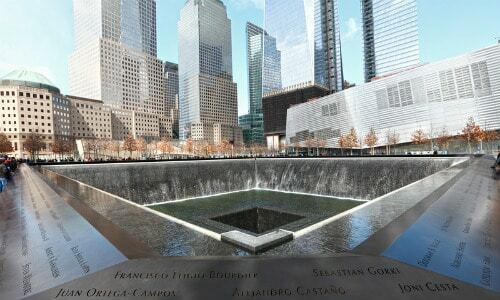 This place of remembrance is a big part of American history, and is a must visit when in New York City. “Featuring the ideas, culture, and art of Himalayan Asia,” the Rubin Museum of Art will immerse you in the experience of the museum. The museum offers thought-provoking exhibitions, films, concerts, and more. You will be able to get an excellent feel for this region of the world and the art and culture that comes from it. The Rubin Museum places visitors first and wants to provide an engaging experience for its visitors. So if you are looking for a hands-on experience, make sure that you check out the Rubin Museum of Art. 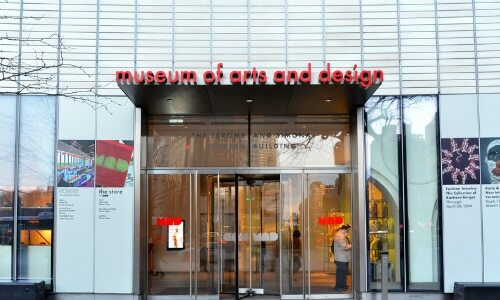 The Museum of Arts and Design, or MAD, exists to “collect, display, and interpret objects that document contemporary and historic innovation in craft, art, and design.” If you enjoy art and also the process that different artists use to create their work, the Museum of Arts and Design is for you. You will be able to see modern practices as well as historical, artistic practices from the past. With three open studios, lectures, films, performances, and more, you will be able to find plenty of things to learn about at MAD. 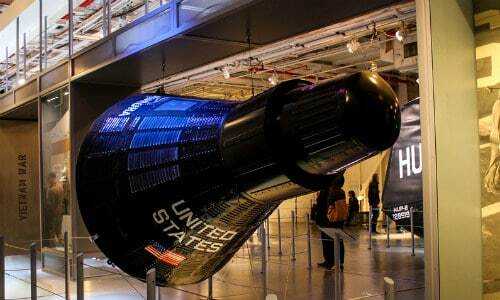 The Intrepid Sea, Air, and Space Museum is a one of a kind experience. It features the “legendary aircraft carrier Intrepid, the space shuttle Enterprise, the world’s fastest jets, and a guided missile submarine.” These impressive pieces of machinery will leave you standing in awe as you view them up close. You will be able to spend all day learning about some of the coolest sea, air, and space crafts ever built. 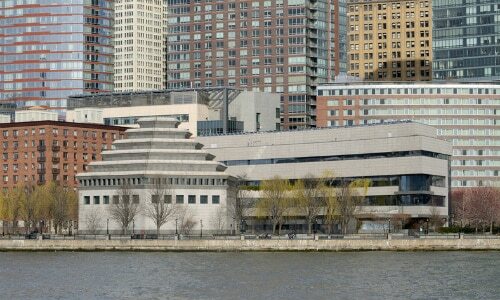 The Museum of Jewish Heritage is a living memorial to the tragedies of the Holocaust. It is a reminder to the world that we can never forget what happened. Inside the museum, you will be able to hear recorded testimonies of Holocaust survivors and learn about Jewish heritage. 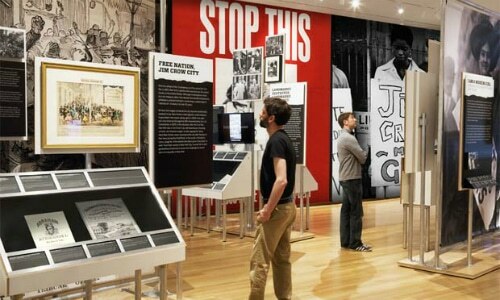 The goal of the Museum of Jewish Heritage is to make sure that the tragedies of the past are not repeated. It is also a tribute to the resilience of people. If you are fascinated by firefighters, you are going to love the history of the New York City Fire Museum. 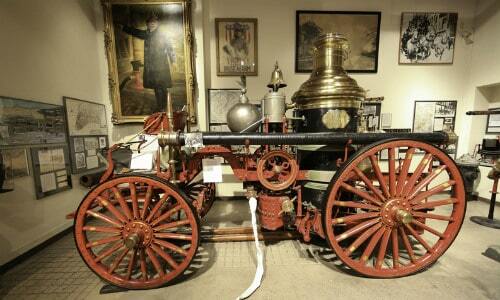 The museum will take you through the storied history of the NYC Fire Department. From the simple bucket brigades to the modern day techniques used today to put out fires in New York City, you will be able to see the progression of the NYC Fire Department. 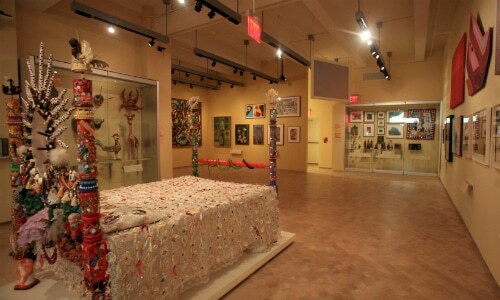 The museum also houses a special memorial to the 343 members of the FDNY that gave their lives to help others on 9/11. For all things New York Fire Department related, you need to visit the New York City Fire Museum. 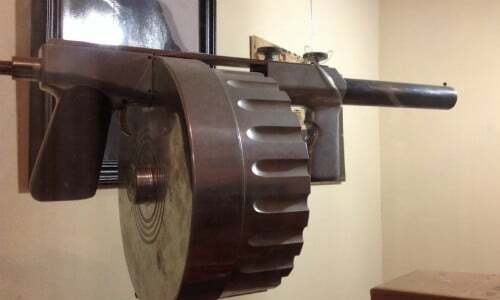 This museum is going to take you back to the time of the Prohibition when organized crime reigned. The Museum of the American Gangster is going to allow you to get a peek behind the curtain of organized crime. You will be able to learn about some of the most well-known gangsters in the US, and maybe some you haven’t heard of before. The museum is in a former speakeasy which is also going to add to the history and will allow you to get a glimpse into the past. El Barrio celebrates and promotes Latino culture. Inside the museum, you will get access to a collection of Latin American, Caribbean, and Latino art spanning more than 800 years. Exhibits cover 20th-century drawings, paintings, sculptures, photography, films, and more. El Barrio’s offerings, make it the place to be for all things Latino-related. 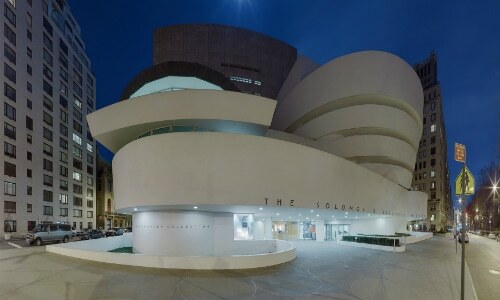 The famous Guggenheim Museum showcases art from the 20th century and beyond. The museum also offers artist lectures, performances and film screenings, classes, and daily educational tours. All of this is going to guarantee that you have plenty to do regardless of how many times you have already visited. The MoMA is going to feature all things modern. 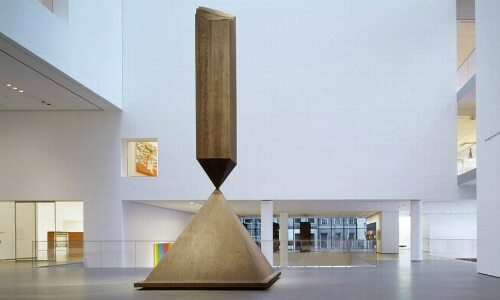 It holds an impressive collection of paintings (think Warhol, Picasso, and Matisse), sculptures, and films. The Museum of Modern Art also boasts a Michelin starred restaurant, so come hungry and ready for some great food. 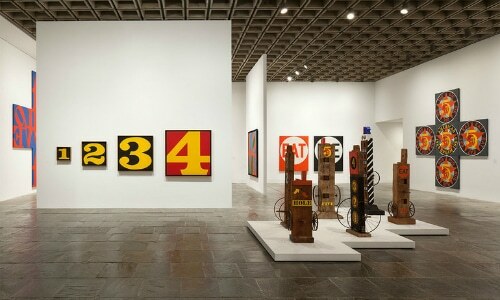 Regularly scheduled events and activities for the whole family, also make MoMA an excellent choice for families. 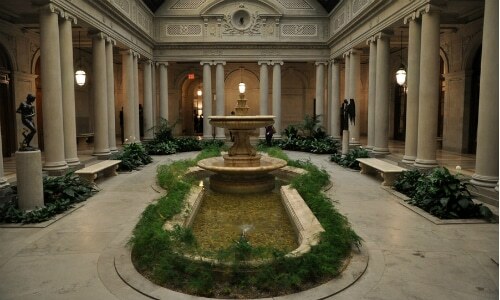 The Frick Collection is going to display a sophisticated collection of mostly European art. 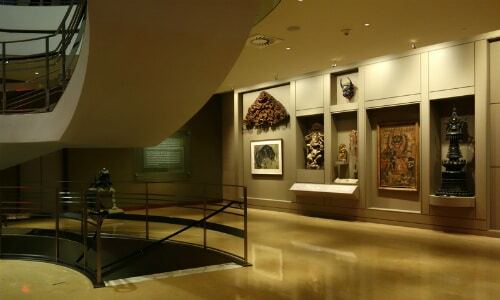 The museum includes works from artists like Rembrandt, Vermeer, and Goya. It is housed in the former mansion of Carnegie partner Henry Clay Frick. Adding to the sophistication, the exhibits are tastefully displayed throughout the mansion’s rooms and halls. Featuring over 750,000 artifacts from New York’s storied past, the Museum of the City of New York connects the past, present, and future of New York. Artifacts include original Broadway theater scripts and art by artists like Marcel Duchamp. 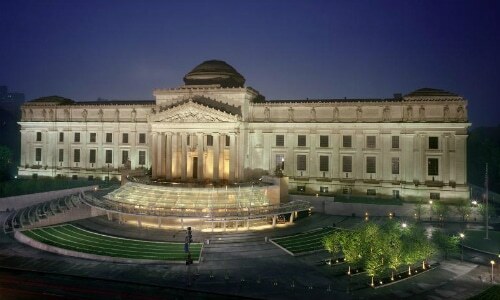 The second largest museum in NYC, the Brooklyn Museum showcases everything from ancient Egyptian pieces to modern art. The museum is also known for its high-quality temporary exhibits. Creators like Jean Paul Gaultier and Keith Haring highlight these temporary exhibits. 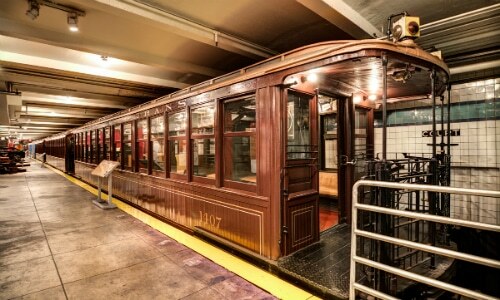 The New York Transit Museum is housed in a 1936 subway station in downtown Brooklyn. It is going to focus exclusively on urban public transportation history. Exhibits include antique subway cars and control rooms, as well as child-sized taxi cars, trolley cars, and buses. Ellis Island had approximately 12 million immigrants pass through during the late 19th and early 20th century. These immigrants came in through steamships and helped to make America what it is today. Ellis Island is steeped in history. 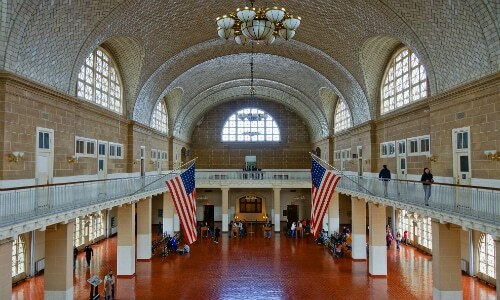 Today, Ellis Island is a museum that educates visitors about the immigrant experience. The museum also houses the American Family Immigration History Center. This is a database of manifests for Ellis Island and the Port of New York. So who knows, maybe a distant relative passed through Ellis Island on their way to America. No visit to NYC is complete without visiting the Met. 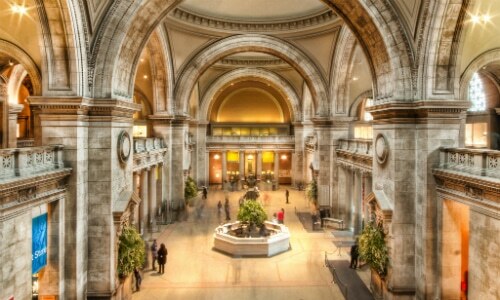 With over 2 million pieces of art from around the world, the Metropolitan Museum of Art is impressive. Also, with new exhibits regularly coming to the museum, you are going to want to visit the Met on more than one occasion. Planning a trip to NYC and not taking in at least one or two of these world-class museums almost seems criminal. The greatest city in the world also has some of the greatest museums in the world. 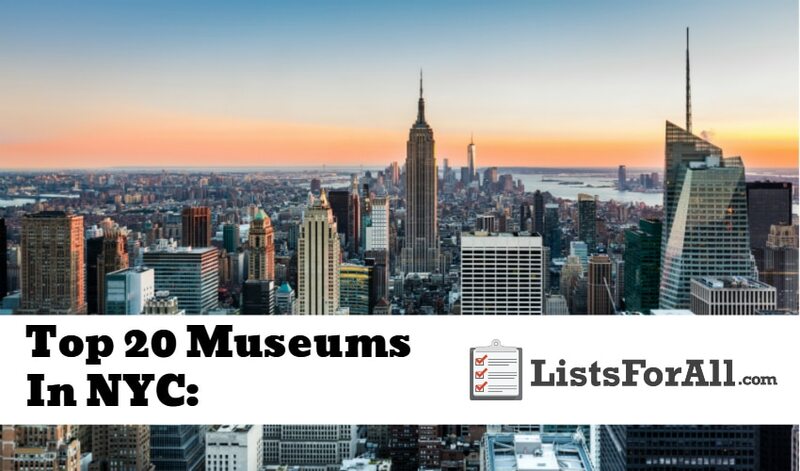 With this list, we wanted to include the best museums in NYC, but we also wanted to include some good diversity for you to choose from as well. So while not every museum is going to grab your interest, there should be at least a few that do. Looking for some great dining while in the Big Apple? Our list of the best restaurants in NYC will have you covered. Let us know how your museum visits went. We would love to hear your feedback in the comments below.